The new signs have gone up on Modern Print & Designs re branded studio and they look really good. Now that the new roof and windows have all gone in the...	Read more.. The Minister for Economy, Science and Transport has announced an extension to the boundaries of the Haven Waterway Enterprise Zone. As a result, your company may be entitled to apply for...	Read more.. Here is the reaction of David Harrison when he received first website proof - "Layout of website looks brilliant .... Looking forward to seeing it up and running now.See you soon.Thanks,...	Read more..
New Shop Front Goes in! The new studio front has just gone into our Pembroke Dock building - and it looks really good. All that remains now is for some carpentry work, damp proofing and decorating to...	Read more.. The 4 new sets of double doors and 13 windows have now been fitted in the studio and they look grate! Better still, the new shop front is going in...	Read more..
Tenby’s Rebleen Guest House Wowed By New Website! Here is the email that was sent to the studio when our website designer gave the Rebleen guest house in Tenby their new website design - "Good Morning Chris, When I opened...	Read more..
Our new roof is on so we are now officially rain and wind proof again! What is more, it looks really good close up because it in made of real state....	Read more..
Our roof has been replaced in the fastest time imaginable. The old roof was striped in 1 and a half days, then the rafters and felt was put on in one...	Read more..
Today the old roof came off and the new trusses were put in and covered with felt. So as long as it dose not get too windy we will be...	Read more.. The work on the studio continues with all the ceilings on the top floor being removed. The next thing to happen is that the walls will be built up and...	Read more..
Well it has all started. The builders have begun tearing down the ceiling as a prelude to putting on a new roof. Let's hope it does not get windy or...	Read more..
Modern Print & Design Win Renovation Grant! Modern Print & Design have won a substantial commercial property grant from Pembrokeshire County Council, to part fund the renovation of their building. One of the conditions of the grant was that the...	Read more.. Safer Social Care Delighted With New Corporate Branding Designed In Pembrokeshire! 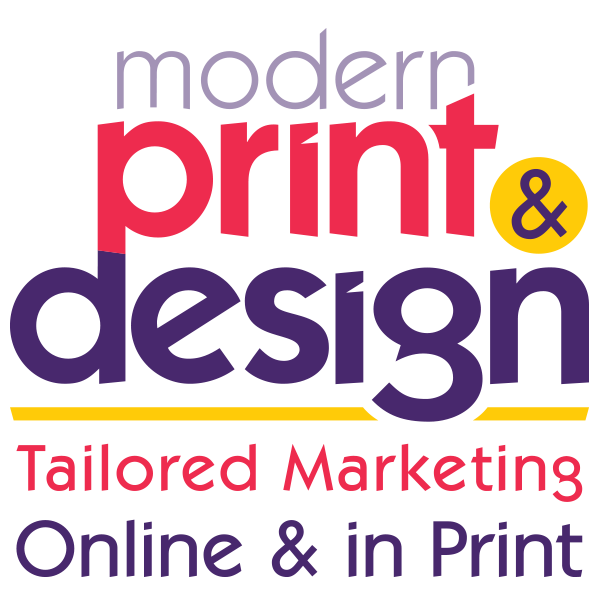 Toni Leggett of Safer Social Care asked Modern Print & Design to help her by creating her logo and branding. It had to be multi purpose, working on both business...	Read more..
Bumper Day For Website Orders! Thursday was a brilliant day for website orders. In the space of 4 hours Trevor and Chris took 3 website commission! What's more, two of them were for re designs of...	Read more..
You can save real money by sending an email Christmas card this year! Not only does it save you the cost of posting cards, you can use it as many...	Read more.. The boys at Haverfordwest Meadow Carpets were delighted with the new website designed for them in Pembrokeshire by Modern Print & Design. The site had many fetchers designed into it including...	Read more..
Last Friday I went to a brilliant cheese and wine night at one of Cardiff's top delicatessens - Madam Fromage. It was Excellent! We started of with champagne and wonderful canapés with were...	Read more.. Call today for your Christmas card & calendar brochure so you will have plenty of time to post them. The closer you get to Christmas the longer it takes to...	Read more..